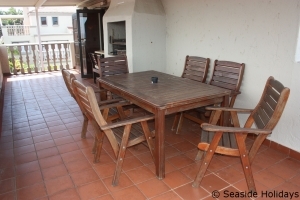 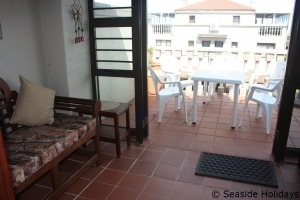 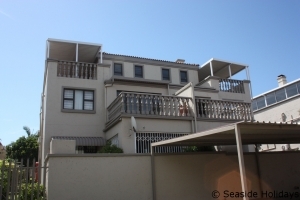 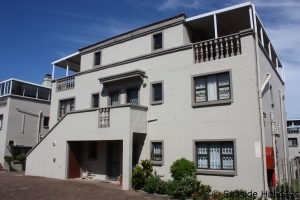 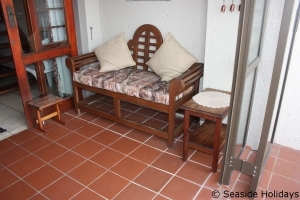 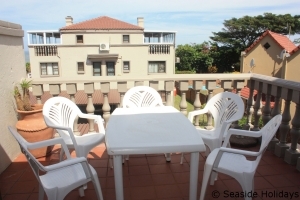 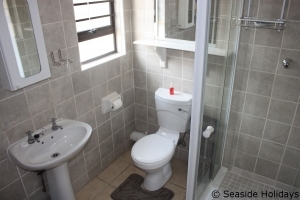 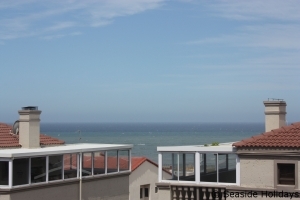 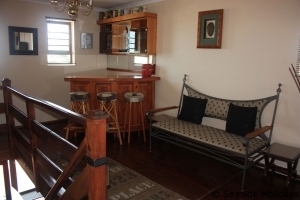 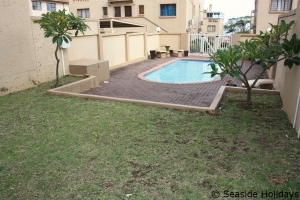 This duplex apartment provides comfortable and well appointed accommodation on the lower level with a spacious entertainment area above adjoining a large covered balcony with braai and sea views. 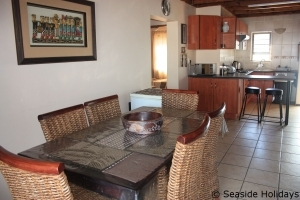 Ideal for families and friends alike, it is conveniently located within walking distance to the beach and shops. 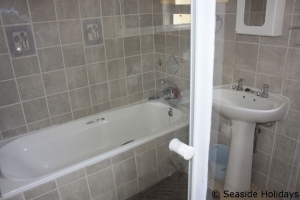 The lower level is an apartment within itself - two bedrooms, a full bathroom, a fully equipped kitchen, dining area, and a small conservatory leading onto a sunny breakfast balcony - all appointed with quality furnishings. 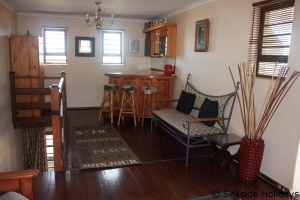 A flight of stairs leads to the loft area - a large but cosy space with a comfortable lounge area on one side (with flat screen television, DVD and DStv access) and a cocktail bar on the other. 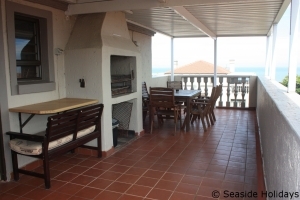 It adjoins a large covered balcony with sea views and a built in braai, making the combined space a great place to socialise and relax. 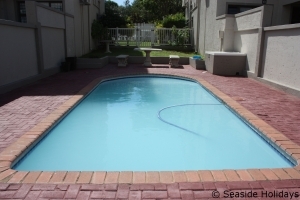 The complex swimming pool is conveniently located just across from the unit. 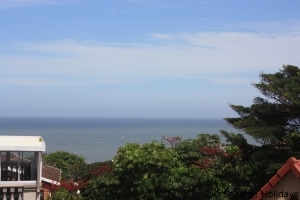 Stafford Place is ideally situated in the heart of the Uvongo village, just a stone's throw from sea and a selection of restaurants, takeaways, pubs, laundromats and shops. 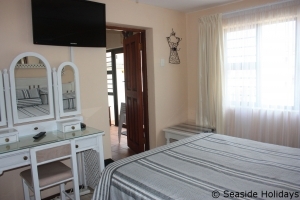 It is a quick walk to the popular lifeguarded and shark net protected Uvongo beach with its lagoon, gorge and waterfall with canoes and pedal boats for hire, and ice creams and hot dogs for sale. 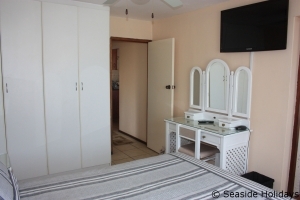 There is an abundance of local attractions and activities, such as our nine world class golf courses, the Wild Coast Sun casino and water amusement park, the magnificent Oribi Gorge, snake parks and crocodile farms and racing tracks - to name but a few. 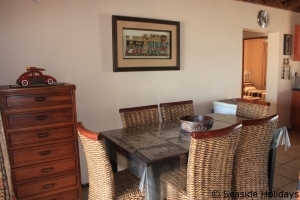 Try diving with sharks at our famous sites and shipwrecks, ziplining at the world's highest bungi swing, abseiling down a waterfall, deep sea fishing or wild water rafting. 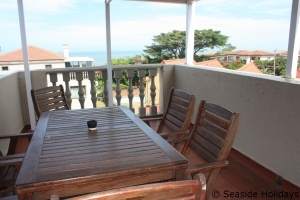 Or just watch the whales and dolphins play from your balcony or relax on our many Blue Flag beaches. 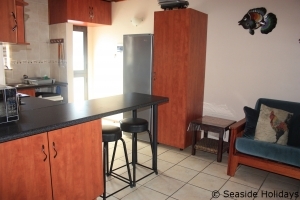 The apartment comfortably accommodates six guests - with a double and two single beds in the bedrooms and sleeper couches downstairs and in the lounge. 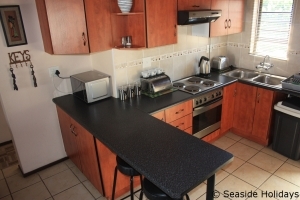 The kitchen is fully equipped with all your day-to-day cooking requirements and there are three dining areas to choose from. 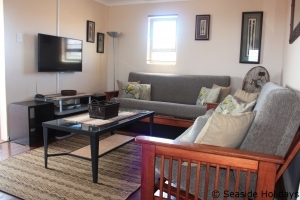 The television has limited local channels but is fully wired for guests to hire/bring their own decoder or Explorer. 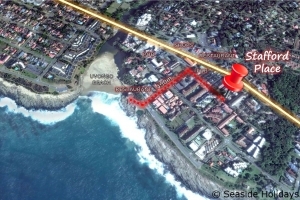 Secure, undercover parking is provided for one vehicle and trailer parking is available. 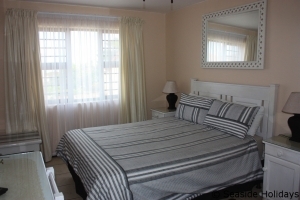 Linen is provided on the beds and daily servicing of the unit is available on request. 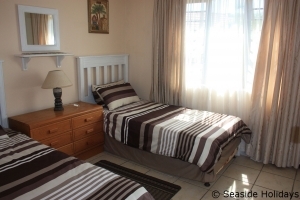 Guests should provide their own towels and bedding for the sleeper couches if required.